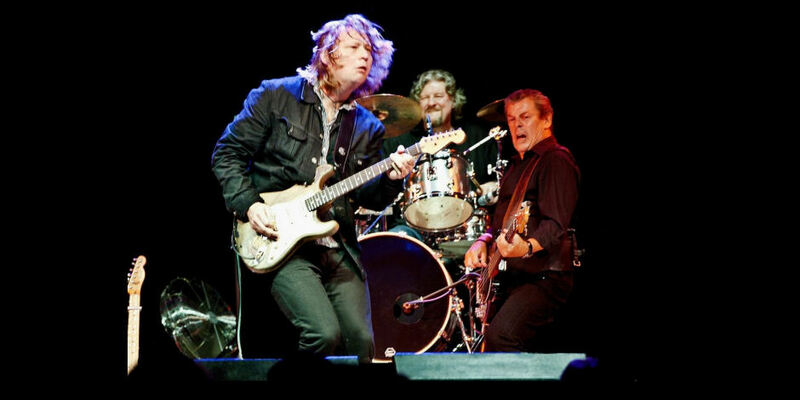 Celebrating the music of the late, great Rory Gallagher! The Band Of Friends is not a tribute to Rory, more of a celebration of his life and music. Rory’s music reached a massive audience, covering all parts of the globe and producing some of the greatest rock/blues albums of the 60’s, 70’s and the 80’s. Gerry McAvoy’s Band Of Friends is the closest line-up to the original band. Gerry McAvoy played bass guitar with Rory for 20 years; from 1971 to 1991 and Ted McKenna (drums) played with Rory from 1977 to 1981. The line-up is completed with Marcel Scherpenzeel (guitar) who Gerry is quoted as saying ‘This is the closest guitarist to Rory you will ever hear’; fine praise indeed.